The study of aging - gerontology - is a relatively new science that has made incredible progress over the last 30 years. 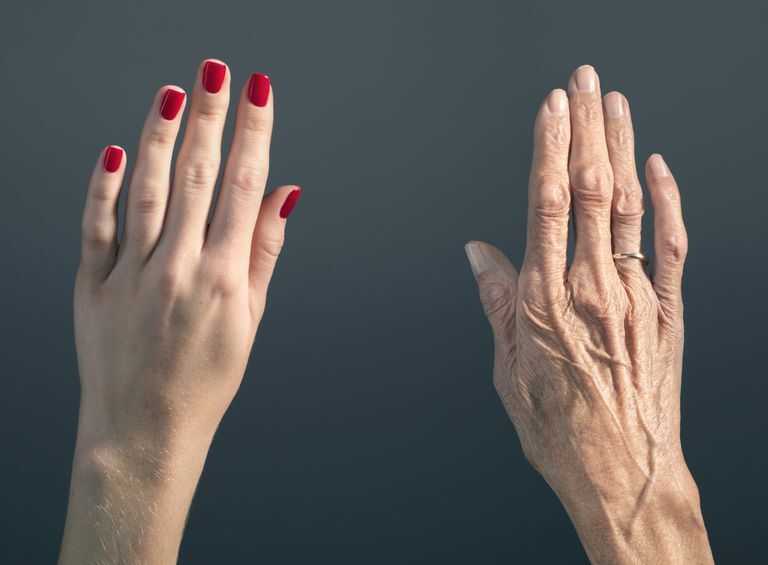 In the past, scientists looked for a single theory that explained aging. There are two main groups of aging theories. The first group states that aging is natural and programmed into the body, while the second group of aging theories says that aging is a result of damage which is accumulated over time. In the end, aging is a complex interaction of genetics, chemistry, physiology, and behavior. By understanding and describing how we age, researchers have developed several different theories of aging. The two categories are programmed theories and error theories. Programmed Theories assert that the human body is designed to age and there is a certain biological timeline that our bodies follow. Programmed Longevity: Aging is caused by certain genes switching on and off over time. Endocrine Theory: Changes in hormones control aging. Immunological Theory: The immune system is programmed to decline over time, leaving people more susceptible to diseases. Wear and Tear: Cells and tissues simply wear out. Rates of Living: The faster an organism uses oxygen, the shorter it lives. Cross-Linking: Cross-linked proteins accumulate and slow down body processes. Free Radicals: Free radicals cause damage to cells that eventually impairs function. Somatic DNA Damage: Genetic mutations cause cells to malfunction. Longevity Genes: There are specific genes which help a person live longer. Cell Senescence: The process by which cells deteriorate over time. Telomeres: Structures on the end of DNA that eventually are depleted, resulting in cells ceasing to replicate. Stem Cells: These cells can become any type of cell in the body and hold promise to repair damage caused by aging. Free Radicals: Unstable oxygen molecules which can damage cells. Protein Cross-Linking: Excess sugars in the bloodstream can cause protein molecules to literally stick together. DNA Repair: For unknown reasons, the systems in the body to repair DNA seem to become less effective in older people. Heat Shock Proteins: These proteins help cells survive stress and are present in fewer numbers in older people. Hormones: The body's hormones change as we age, causing many shifts in organ systems and other functions. Heart Aging: The heart muscle thickens with age as a response to the thickening of the arteries. This thicker heart has a lower maximum pumping rate. Immune System Aging: T cells take longer to replenish in older people and their ability to function declines. Arteries and Aging: Arteries usually to stiffen with age, making it more difficult for the heart to pump blood through them. Lung Aging: The maximum capacity of the lungs may decrease as much as 40 percent between ages 20 and 70. Brain Aging: As the brain ages, some of the connections between neurons seem to be reduced or less efficient. This is not yet well understood. Kidney Aging: The kidneys become less efficient at cleaning waste from the body. Bladder Aging: The total capacity of the bladder declines and tissues may atrophy, causing incontinence. Body Fat and Aging: Body fat increases until middle age and then weight typically begins to decrease. The body fat also moves deeper in the body as we age. Muscle Aging: Muscle tone declines about 22 percent by age 70, though exercise can slow this decline. Bone Aging: Starting at age 35, our bones begin to lose density. Walking, running and resistance training can slow this process. Sight and Aging: Starting in the 40s, difficulty seeing close detail may begin. Hearing and Aging: As people age, the ability to hear high frequencies declines. By eating foods loaded with antioxidants, you can minimize damage caused by free radicals. By exercising, you can limit bone and muscle loss. By keeping your cholesterol low, you can slow the hardening of your arteries and protect your heart. By practicing mental fitness, you can keep your brain sharp. Lifestyle factors have also been shown to extend life. Rats and mice on a calorie restricted diet (30 percent fewer daily calories) live up to 40 percent longer. Positive thinking has also been shown to extend life in people by up to 7.5 years. Aging Under the Microscope; National Institutes of Health, National Institute of Aging.